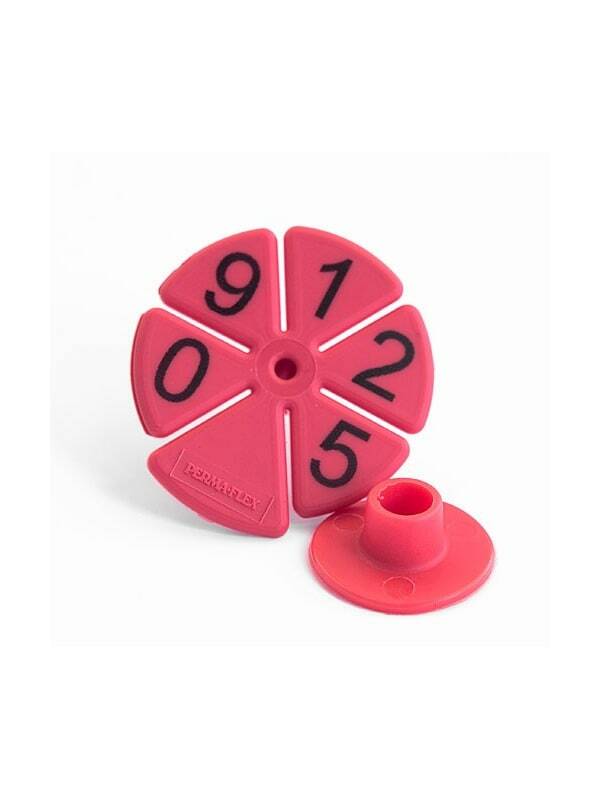 The daisy-style hog tag measures 1 7/8" in diameter for good size identification. Stud is attached to this ear tag and it comes with a round back button for anchor. The design of this tag does limit printing to five digits or minimum test as seen in picture. Can be applied with our standard applicator. 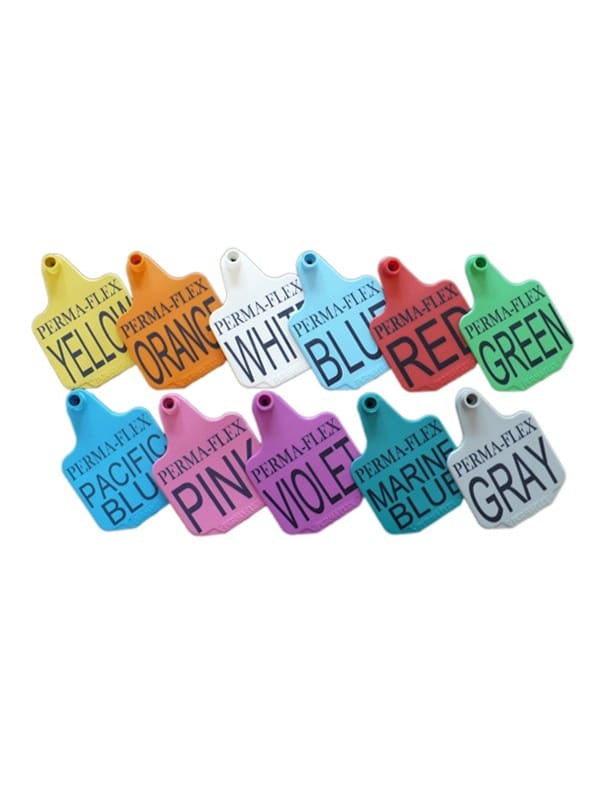 The Perma-Flex daisy-style hog tag is 1 7/8" in diameter made of durable polyurethane. This design was developed to reduce snagging and torn ears. 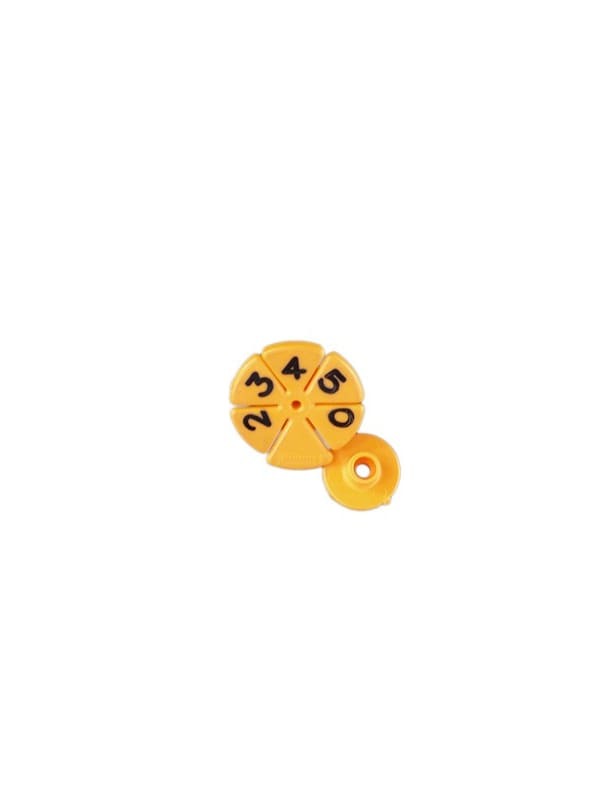 The stud comes as part of this one piece tag and comes with a back button to anchor the tag.